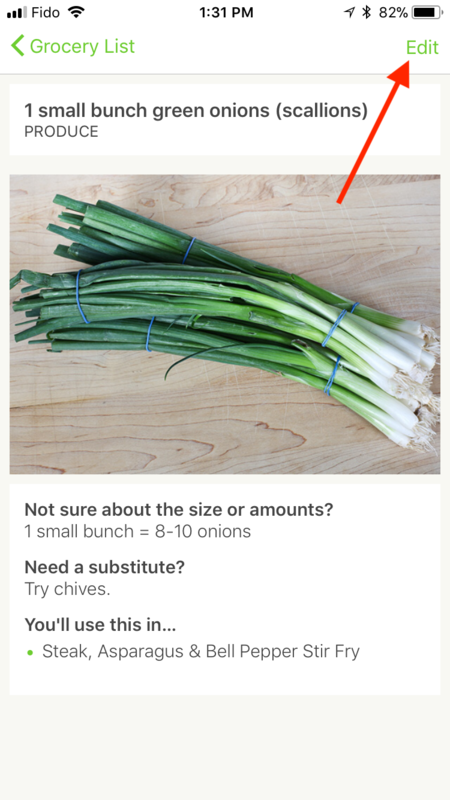 You can edit any grocery list ingredient (even your own)! 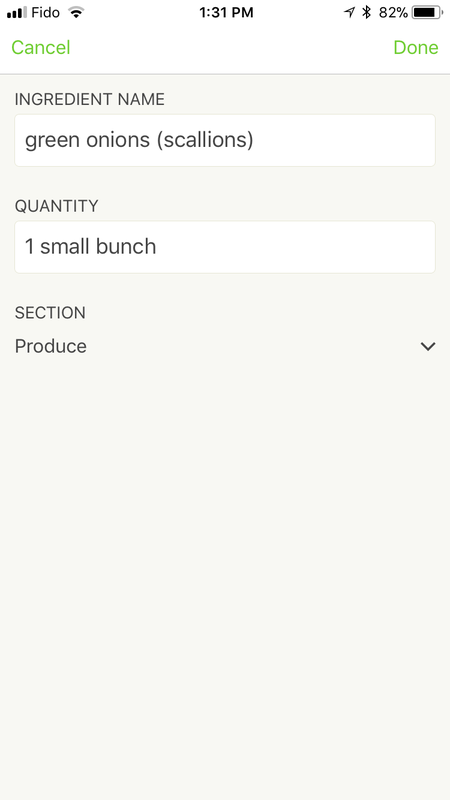 Change its name and quantity, and categorize it into any section. Next, edit any field you like and tap Done to save. You can always tap Cancel to discard your changes as well.